"According to the more recent definition, a blue moon is the second full moon in a calendar month. 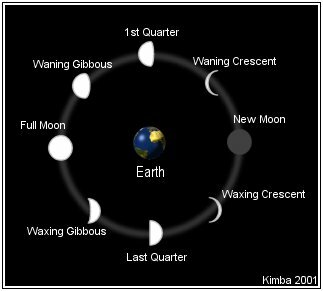 For a blue moon to occur, the first of the full moons must appear at or near the beginning of the month so that the second will fall within the same month (the average span between two moons is 29.5 days)." 1. Raphael or Michael, over the Sun. 2. Anael or Haniel, over Venus. 4. Gabriel, over the Moon. 5. Zaphiel or Orifiel, over Saturn. 6. Zadkiel or Zachariel, over Jupiter. 7. Camael or Zamael, over Mars. The moon in this phase creates a "pulling away" effect. This is the best time for removing or getting rid of unwanted things. Examples: Remove low vibrations in your home or work. Banish negative thoughts. Letting go of past and guilt. Starting of a diet (losing weight). Release anger or hostile emotions. The Waning phase is a powerful time for making room for the new. Keywords for the Waning Moon Phase are: Banishing, Removing, Releasing, Closure, and Cleansing. The full moon phase is the strongest for psychic energies. This phase is also when the moon is at its strongest and fullest potential. Example: Peak time for stating intentions/goals/prayers. Keywords for the Full Moon Phase are: Strength, Power/Empowerment, Healing, Astronomy, Protection, Psychic, and Goals. The moon in this phase creates a "pulling in" effect. This is the best time for intuition enhancement and effects. Examples: Time for new projects. Growth. Expansion. Increase health and well being. Increasing spirituality and wisdom. Keywords for the Waxing Moon Phase are: Growth, Expansion, Well-Being, Work, School, Creativity, and Attraction. The new moon phase is a time for rest. Desires are in a state of pause. Examples: Prepare for new wishes/prayers/goals. Take time to form and give thought to your "requests." Keywords for the New Moon Phase are: Meditation, Invocation [Prayer], Time, Introspection, Relaxation, and Time. Moon "is a Germanic word, related to Latin "mensis"; it is ultimately a derivative of the Proto-Indo-European root me-...The Moon is occasionally referred to by its Latin name, Luna, in order to distinguish it from other natural satellites." 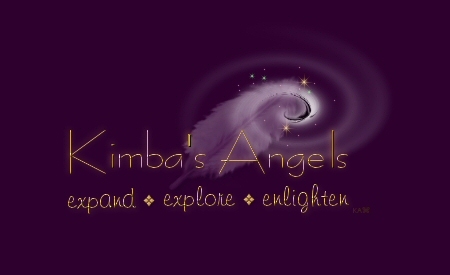 For more information on Angels and the Moon see the Mansions of the Moon, Of Time, and Monthly Angel Moon Guidance sections.